Need Some Warehouse Heating Ideas? How big is the area you want to heat? This dictates which heating equipment to use and how many units. What’s in the warehouse or factory? Machinery, people, stock or something else? Each has its own heat load and again dictates which heating equipment to use. What kind of power is available? Is there enough power for additional heating? Where can the heating units be placed? How will the hot air enter the space? Once these variables are known the relevant equipment can be chosen. Warehouse heating uses a lot of energy and can be costly. Because of this, gas heating is most commonly used. However, due to increasing OH & S concerns about the ventilation of gas heaters, plant and warehouse managers are looking for safer ways to use them or alternatives. Boilers sized anywhere from 300kw to the truly staggering 1500kw, plus relevant air handlers, are sufficient for most warehouse heating requirements. The boiler is placed outside, therefore eliminating ventilation concerns and connects to either existing natural gas outlets or LPG cylinders. In essence, the boiler heats water which is then pumped to the associated air handlers via 100mm flexible hoses. 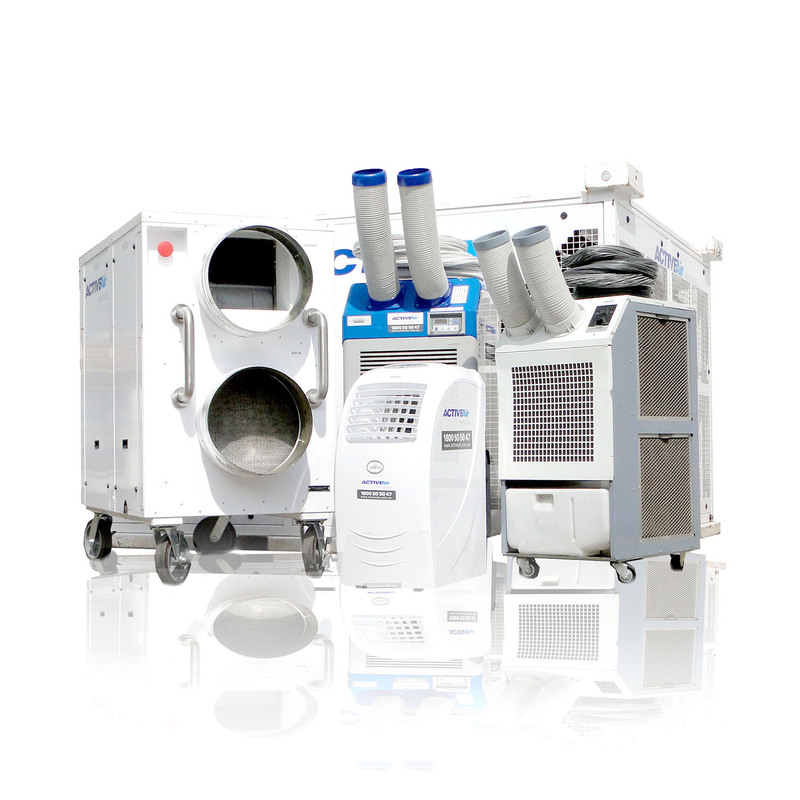 Depending on the warehouse environment, the air handlers can be placed either inside or out from which the warm air is distributed throughout the warehouse where and as needed. The HVAC Packaged Unit provides 200 kW of heat, blowing at an enormous 6100L / second. Like the boiler, this unit sits outside eliminating gas ventilation concerns. The warm air is ducted in and distributed either via free ducts or ducting towers. The Packaged Unit connects to either existing natural gas outlets or LPG cylinders. Although electric, the Electric Blower Heater is still cost effective. It provides 21kW of heat, blowing at 3060L / second. This unit is a firm favourite of plant and warehouse managers countrywide. Sometimes only a single spot within a warehouse or factory needs to be heated. For example a person on a production line, an admin desk or a lunch break area. If this is the case then the electric radiant heater is the best option.